Since 1988, Dr. Fyles has been a professor the Department of Natural Resource Sciences where he holds the Tomlinson Chair in Forest Ecology. 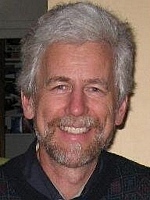 He was one of the primary developers of the McGill School of Environment and has served as the Director of the School. He is the Director of the Molson Nature Reserve and the Morgan Arboretum, peri-urban conservation and research areas near the Macdonald Campus. Between 2004 and 2010 he was the Scientific Director of the Sustainable Forest Management Network Centre of Excellence, a national research network involving partners from industry, governments, Aboriginal groups and non-governmental organizations working on projects with researchers at thirty-five universities. For many years my research has been oriented to understanding the role of plant species in determing ecosystem processes, particularly those controlling nutrient flux through the soil. Much of this work has revolved around understanding the behaviour of organic residues in the forest floor and soil, along with their influence on microbial activity and nitrogen mineralization. We have also studied whole-system nutrient cycling in hardwood forests, the effects of clearcutting vs fire on soil nutrients and interactions between Kalmia and black spruce in boreal forests, as well as the behaviour of various organic wastes in agricultural and forest soils. Currently we are exploring spatial pattern and the role of scale in agricultural and forest systems, and we are working with a network of researchers across Canada on developing nutritional indicators of future productivity.